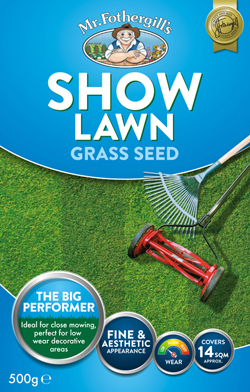 This blend of fine leafed grasses includes chewings fescue, strong creeping red fescue and browntop bentgrass to produce a fine, ornamental lawn. Ideally suited for close mowing and decorative areas of low wear. Available in 250g Patch Pack carton, 500g & 1.5kg cartons, and 10kg & 20kg Bulk Bags.